Labor Day weekend is the last hurrah of Summer for us. I head back to school this week and the girls will go to grandma’s and preschool during the day. We had an amazing summer filled with beautiful weather and family fun. To end the Summer on a sweet note I’ve made a Strawberry Blueberry Cupcake that is quick and easy, yet definitely delicious. For some reason, whenever I think of Labor Day I think of our Troops that never actually get a day off from Labor, which is why I went with red, white and blue. Labor Day for many of us is a day of rest and relaxation away from the stresses of work. Our Troops never have this rest and I am thankful for their dutiful service to our country. 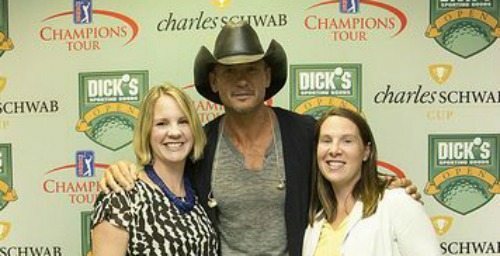 I recently had the amazing opportunity to meet and then attend a concert performed by Tim McGraw thanks to Outback Steakhouse and the Best Mates program. Outback has teamed up with Tim McGraw for the program Operation Homefront, which awards mortgage-free homes to wounded warriors and service members in need. My husband’s family is U.S. Marine Corp. and I’ve seen first hand the effects that a tour of duty has on the military member as well as their family. Operation Homefront is an amazing organization that gives back to some of the most deserving men and women in our country. To find out how you can help visit Operation Homefront and don’t forget to follow along with Outback Steakhouse on Facebook for all of their up to date deals and events. My love of my country is just like my love of cupcakes, never ending. I just love the individualized portions and the lack of clean up because of the cupcake liners. 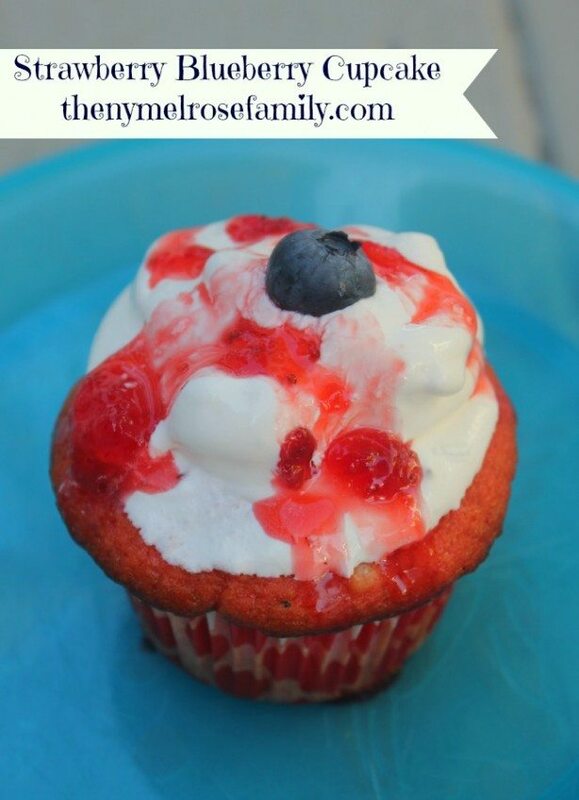 I definitely adore these because it uses Betty Crock Blueberry Muffin Mix combined with Strawberry Jell-o and topped with Cool Whip and my Strawberry Jam. Instead of a cherry on top, I’m giving you a blueberry on top. Puffy heart, LOVE! It doesn’t get much easier than this. These cupcakes are a perfect dessert for any Labor Day celebration, but if you’re looking for a little something different be sure to check out my Cupcake Gallery. Yep, you read that right. I have a Cupcake Gallery! 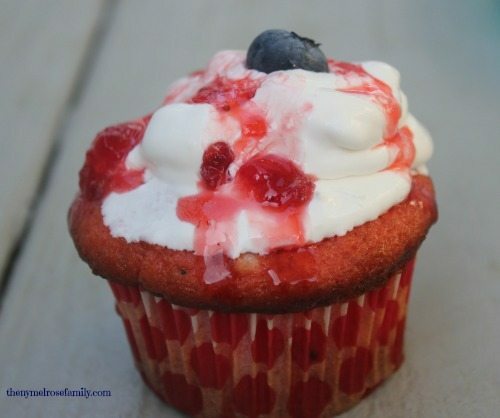 A 4 ingredient cupcake that combines the fabulous flavors of strawberry and blueberry. Prepare the Blueberry Muffin Mix according to the box directions. Add the Strawberry Jell-o packet to the muffin mix. Spoon the batter into pre-lined cupcake trays. Once the cupcakes cool top with Cool Whip, my Strawberry Jam and a blueberry. What a lovely cupcake recipe. I love strawberries. What a fun concert and a great cause! And what a yummy idea for cupcakes!